Many artists dream of creating something entirely original, but to realize that dream on prime-time television is extra special. 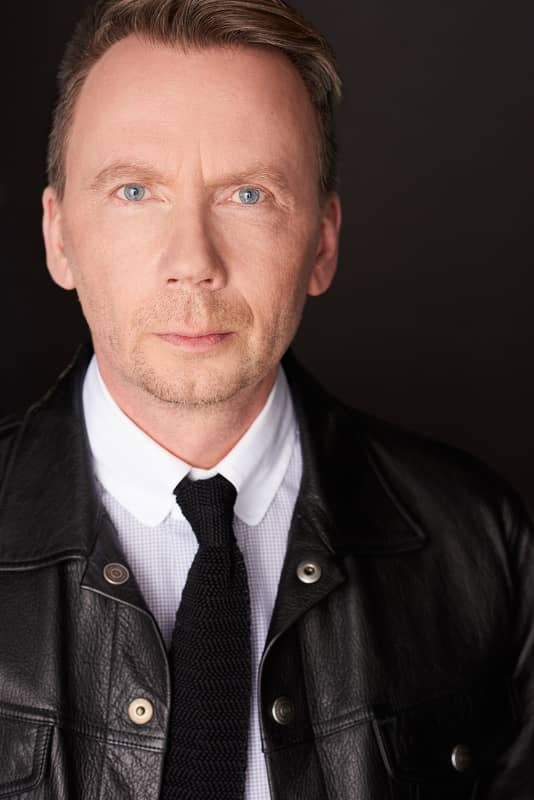 New York Film Academy (NYFA) Los Angeles Filmmaking grad Slava N. Jakovleff has done just that, distributing not one but two of his original series to major networks; Siberia, to NBC, and Insomnia, now seen worldwide on STARZ. Here, Slava shares some of the amazing story behind producing his hit series with the NYFA Blog. *Please note: this interview has been edited for length and clarity. 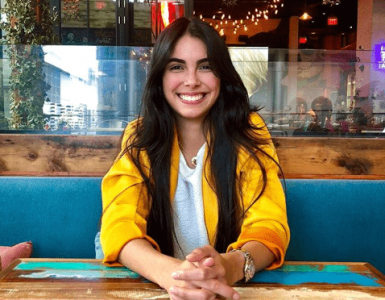 NYFA: First, can you tell us a little bit your journey, and what brought you to NYFA? Slava: I wanted to be an actor — this is my passion. I graduated as an actor after four years at one of the best and most famous Russian acting schools in Saint Petersburg, and then got a PhD as an acting and voice teacher. I always thought about directing and producing. I figured out that the knowledge of acting and directing was not enough to make my dream happen. I needed to study filmmaking. And where is the best place to do it? Of course in Los Angeles, the global center of the film industry. I checked online resources and found that New York Film Academy had Filmmaking courses at Universal Studios. So, I joined the school at 36. Yes! At 36. It’s never too late to learn. NYFA: You wear many hats, as an actor, director, and producer. What inspires you about these various roles, and how does changing between them inform your work? 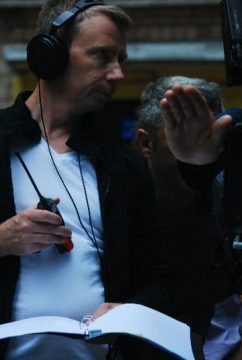 Slava: It’s great that now I know something more about acting, directing, and producing. I know how to play, how to be an actor on the set or on the stage. For me, acting is an absolutely phenomenal state of mind. To me, it’s not a job! It’s a state of mind, of soul. Acting is a study of the human soul. This is the first and inner circle. Acting really helps me to direct. I’m more an actor’s director than just a director; I love actors and love to work with them. 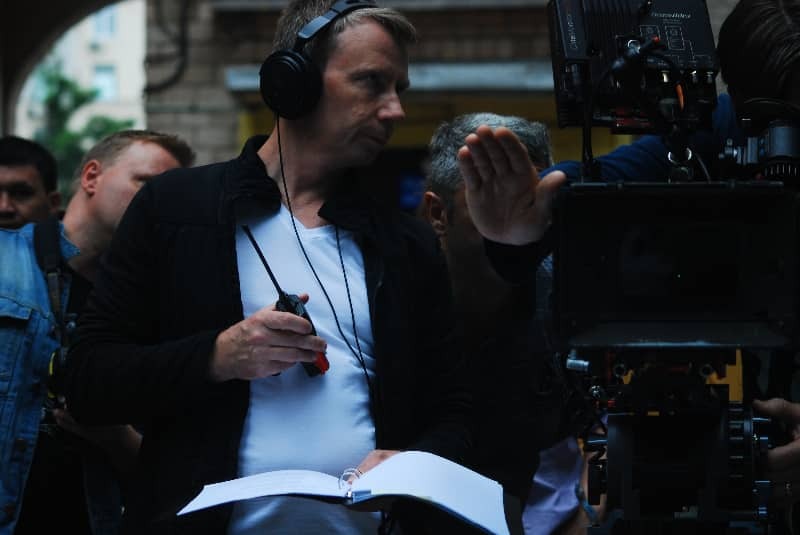 Directing makes it possible to not only deliver the story and actors’ emotions to the audience, but also to make the audience think, laugh, or cry — in short, feel something — while watching a screen or a stage. This is the second circle, a bit wider. Producing is the third, wide circle, and gives me the opportunity to care for the first two circles and bring all of these three circles to the audience. Slava: I loved how the learning process was organized at the Academy. I got so much professional information in such a short time. NYFA: Before establishing yourself in Hollywood, you worked as an actor in Russia. How did you navigate that transition from one industry to another, including acting in another language? Slava: Yes, I was a pretty established actor at that time in Russia. When I moved to LA for business reasons, only one thing was important to me: I wanted to establish myself in Hollywood as a producer and director. … But regarding acting as a whole, if you are a professional, educated actor, it doesn’t matter in which language you act. It’s only about the professionalism. NYFA: Can you tell us a bit about your company, Welldone Production? 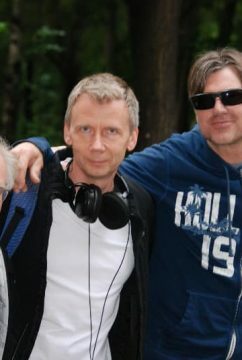 Slava: I founded Welldone Production as my own company in 2004, during my time at NYFA, as a filmmaking company. The first project I did in LA was a stage play called The Last Night of The Last Tsar, a mysterious story about the last night of the last Russian Emperor Nicholas II Romanov and his family — and what happened with the lead executioner, Yurovsky, exactly 20 years after the execution. We played 6 weeks at the Stella Adler Theater in 2005. It was a successful run, and I told myself, “Let’s start to write the script for my own feature film.” We are now in pre-production. I rewrote the script many times since the start, researching historical information and studying archives. And now I am completely happy with the script I have, titled Swampy Roads. It seems like a very long journey just for one project, but I am completely satisfied and proud of that. 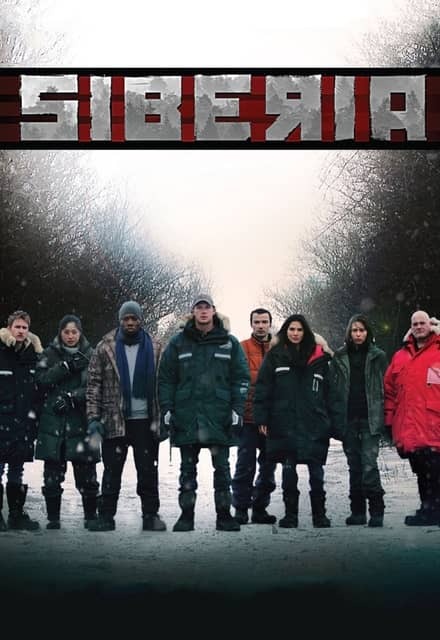 At the same time, my company and I did many projects in Russia and the U.S. One of them was my first TV project here in Hollywood, Siberia (2013), where I was an executive producer and director of some episodes. 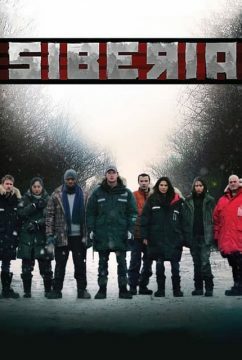 Siberia was completely independently financed, and afterward the show was bought by NBC for prime-time airing. It was the first time that a Russian producer sold his own independent TV show to NBC. I am very proud of that. NYFA: As executive producer and director for STARZ series Insomnia, what inspired you to take on this project? Slava: Insomnia was also a completely independently financed TV series, and when the show was completely ready it was picked up by STARZ. My Russian friend, a producer, showed me a story on which he was working at that time. I loved the concept, because I thought this could work for any audience around the globe. I bought the license from him to make an English version, and invited an American-Canadian writing team to rework the story. At the end we got a deep, very edgy psychological thriller, an action story with sci-fi elements. I knew that not everyone would like this story, and some networks and streaming platforms would be afraid to put it on the air, saying that the story is too extreme for them. My team and I tried to show the truth that human life costs nothing in modern life. My entire team, cast, and crew members — including one of the best directors of cinematography, Primetime Emmy winner John S. Bartley (LOST, X-Files, Bites Motel), and one of the best casting directors, Primetime Emmy winner Stephanie Gorin (Fargo) — tried to make it happen. I understood that many of us would not like to hear the truth. I really do not like it either, but I needed to say this about it to sort it out myself. I needed to say it without any “politeness” and “polishing.” I wanted to make the viewer think and draw conclusions. After the show was done, STARZ picked up the series for worldwide distribution. I am very proud of that. 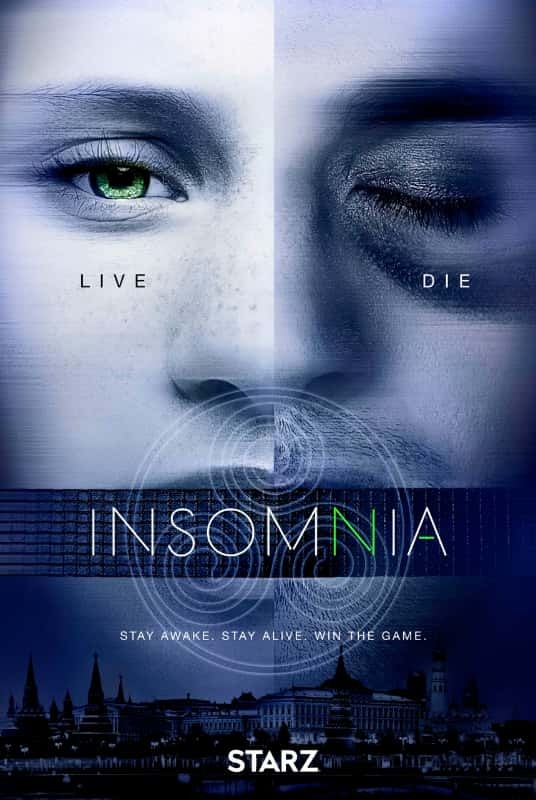 NYFA: Were there any challenges along the way in bringing Insomnia to Starz? Slava: Bringing any projects to any network or distributor is a big challenge for every team, and this project was no exception. The story of Insomnia was set for filming in Washington D.C., but when I was scouting locations there I realized it was impossible. I took a week-long break and announced to my team that the show would be filmed in Moscow, Russia, and the first day of filming should be June 1. This was a real challenge: the team was booked for principal filming starting on April 15 in D.C.
We had only six weeks for making changes in the script, finding a local Russian production company, organizing to bring the entire American-Canadian team to Moscow, rescheduling the production, new location scouting, language problems (as we had two teams), etc. 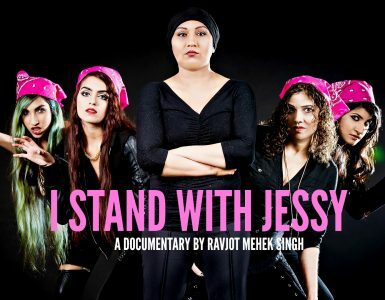 But we went through all these incredible difficulties (just imagine the problem with visas or understanding between two different languages and mentalities on set) and began to shoot exactly as planned, on June 1. Then we figured out that Insomnia is not just the title of this series, but actually what became a way of life for the cast and crew! Filming for all eight episodes took place over 68 working days, 2/3 of which were night shoots. We needed to shoot everything by the end of August, as the story takes place during four consecutive summer days. 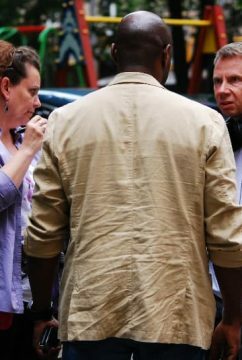 Management of the production was critical, as filming night scenes during the summer in Moscow was challenging — some nights only had around 2-3 hours of darkness, and the weather is unstable: the sun, clouds, and storms. The entire show was filmed in Moscow, with scenes set in New York and Cambodia being filmed on sets. We were able to film in unique locations, such as Red Square and near the Kremlin, Bolshoi Theatre, the Federal Assembly of Russian Federation, the U.S. Embassy in Moscow, the Four Seasons, and the Ritz Carlton Presidential Suite with its authentic view of the Kremlin and Bolshoi Theatre — no other foreign production companies have been allowed to film in this location before. By the way, Insomnia’s production company, Welldone Production, is the only foreign production company in the last 20 years to be able to film in the highly secure Red Square. All explosions, car crashes, gunshots, and underwater scenes were filmed without CGI, and all action scenes were filmed by the main unit team (we didn’t have second unit). Then, we spent months editing the series here in Los Angeles in one of the best post-production facilities in town: Burnish Creative. They’re such a talented, professional, and passionate young team. When the show was picked by STARZ, we entered the delivery process and had to go through quality control. It was such a great challenge and big experience. The series employed 720 people from nine countries and filmed around 750 total scenes. And I want to again say thank you to my entire team and the people who worked for Insomnia. NYFA: What is your best advice for NYFA students who are interested in following your footsteps and founding their own production companies, in Hollywood or elsewhere? Slava: In short I can say: break the rules (which is very tough sometimes), and never give up. NYFA: Would you say your time at NYFA was at all useful in preparing for the work you are doing now? NYFA: Anything I missed that you would like to speak on? Slava: Many years ago, when we were young, my army friend, on the day when we finished our service in the tank troops, gave me a simple drawing of our tank with the inscription, “Follow your star!” Here I am, still following. The New York Film Academy would like to thank Slava N. Jakovleff for his generous interview.